Alternative energy pellets boilers are sustainable sources of fuel and efficient in heating your home. Many who want to be less dependent on foreign oil and gas and desire to keep their houses effective as means of conserving energy are opting for boilers as their only means of heat. The United States is catching on a little more each year to what has started in Europe as energy savers. That being, pellet boilers are effective and inexpensive ways to provide heat to living spaces. 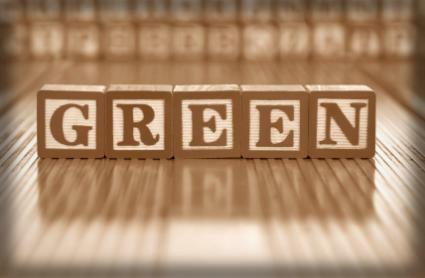 When using wood from a renewable resource, pellet boilers can help the environment. Austria, Sweden and Denmark are well aware of this, and over the years each country has generated more than 20 percent of their energy from renewable sources. These nations are leading the world in biomass as their populations use alternative energy pellets boilers for buildings and houses. Wood chips: Wood is the oldest form of renewable energy. Chips made of manufactured wood, not to be confused with natural wood, are sometimes used in the United Kingdom to heat homes. Some are made from waste products such as sawdust from a saw mill. The chips hold a maximum water content of 10 percent and a high density. When burned in a boiler, the efficiency is at about 90 percent. 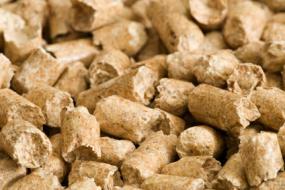 Pellets: Also made of wood or grass hay, these can be used in most boilers for providing renewable fuel for a home. Pellets are about 1/4 of an inch in size and produced by using a mobile pelleting facility. Pellets are a bit more costly than wood chips, but they make operating an alternative energy pellet boiler extremely easy. They are between 4 and 5 percent ash, so that the ash drawer in the boiler has to be cleaned or dumped every day or two. Some pellets are made of willow trees, trees specifically grown in Europe for the purpose of being made into pellets for boilers. The modern pellet boiler is able to heat an entire rural home or a commercial building. The boiler heats water to about 165 degrees F which is 74 degrees C. The water is pumped through radiators or radiant floors. A thermostat is set and by this mechanism, the ignition and combustion are controlled. The beauty of a pellet boiler is that it is designed to be part of a solar hot water system because it shares the same plumbing and control systems. A boiler can operate in all seasons and throughout each one, burns clean fuel. Tarm USA Incorporated has wood-burning boilers for sale. These are imported from Denmark under the company name of Baxi. Tarm, located in New Hampshire, distributes three Baxi models. Multi-fuel boilers that operate at over 80 percent efficiency on wood, 85 to 87 percent on oil, and 83 to 84 percent on gas. Multi-heat boiler that burns wood pellets or corn at 88 to 91 percent efficiency. Wood gasification boilers that burn at over 80 percent boiler efficiency. Ponast: The unique feature of this boiler is that it is fully modulating. This means that the boiler is able to adjust its output based on the heat requirement of the system. This is a bonus, and not available in conventional boilers. The feature allows for greater efficiency, as the boiler only uses the energy required. Verner: This boiler will burn wood pellets. However, it is also capable of burning corn, barley and other crops. Those who live where these products are less-costly find burning a boiler extremely cost-effective. Wood chips and pellets can be delivered by truck to your house in some northern regions in the United States. Of course, once delivered, it takes time for the homeowner to haul these heavy 40-pound bags of pellets inside the home. These must be stored in a dry part of the house and when ready for usage, opened and dumped into the hopper of the boiler.